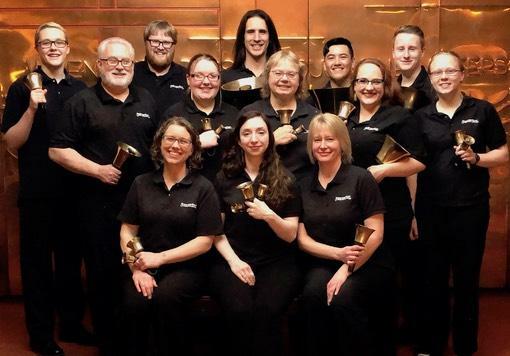 The Strikepoint Bell Choir from Duluth, MN will perform in Manistique, MI on June 22, 2018 at the Ziol Lutheran Church. The concert takes place at the Zion Lutheran Church on 435 Oak Street, Manistique, MI on Friday June 22, 2018. Admission is free with a freewill offering taken. For more information on the concert and Strikepoint, go to their website here.